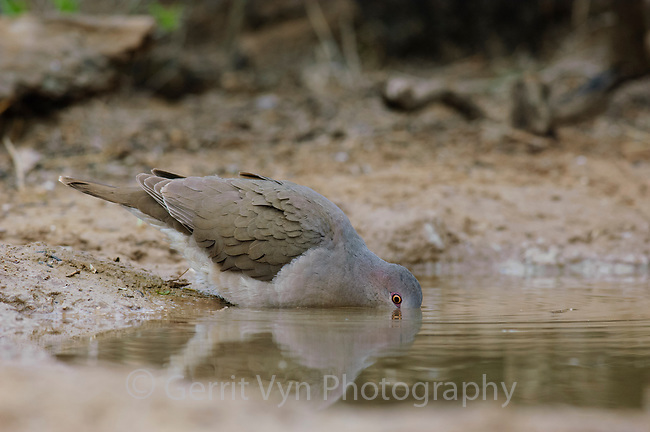 Adult White-tipped Dove (Leptotila verreauxi) drinking from desert water hole. Starr County, Texas. March.